Business, nonprofit, and public sector leaders are facing new and daunting challenges - rapid-paced developments in technology, sudden shifts in the marketplace, and crisis and contention in the public arena. If they are to survive in this chaotic environment, leaders must develop the skills they need to lead effectively no matter how fast the world around them is changing. Leading in a Culture of Change offers new and seasoned leaders' insights into the dynamics of change and presents a unique and imaginative approach for navigating the intricacies of the change process. 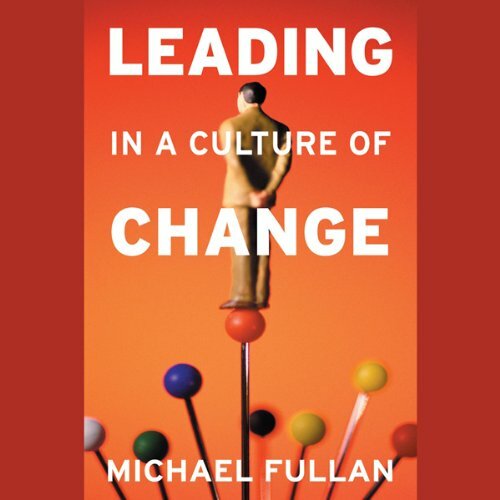 Michael Fullan - an internationally acclaimed expert in organizational change - shows how leaders in all types of organizations can accomplish their goals and become exceptional leaders. He draws on the most current ideas and theories on the topic of effective leadership, incorporates case examples of large scale transformation, and reveals a remarkable convergence of powerful themes, or as he calls them, the five core competencies. By integrating the five core competencies - attending to a broader moral purpose, keeping on top of the change process, cultivating relationships, sharing knowledge, and setting a vision and context for creating coherence in organizations - leaders will be empowered to deal with complex change. They will be transformed into exceptional leaders who consistently mobilize their compatriots to do important and difficult work under conditions of constant change.